Tabatha - Taiwan - HEARTSENT ADOPTIONS INC.
Meet Tabatha, a vibrant and cheerful girl! Tabatha was diagnosed with Down syndrome at birth. 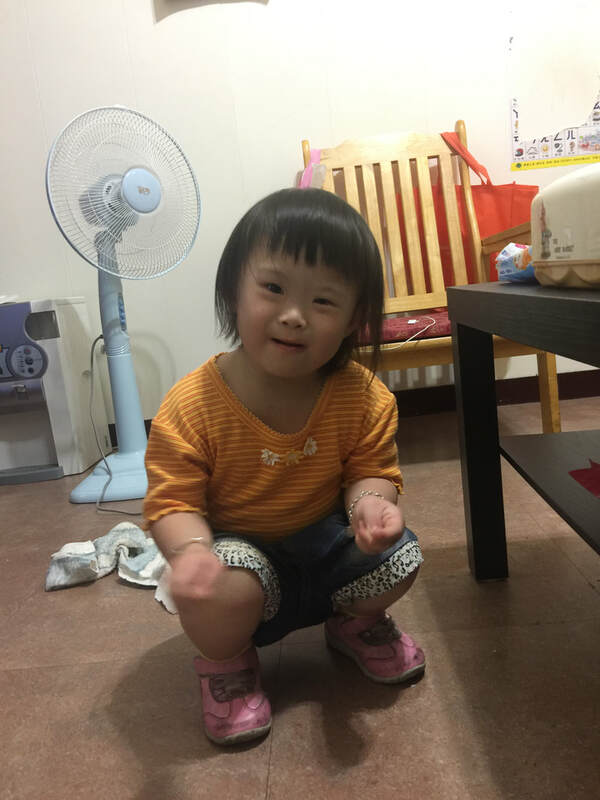 She now holds a Disability Card for mild physical and mental disability and developmental delays (cognitive, language, and perceptual motor), and an IC Card for Severe illness for chromosome abnormality. She has been receiving early intervention since September 2015. Despite of her special needs, Tabatha loves to interact with people and takes the initiative to approach peers. She has limited vocabulary and makes vocal sounds by imitation. Interested in adopting Tabatha or learning more?